First of all I must apologize. I do not have a before picture for you today. I have been trying to take all my before pictures when I get new thrift store finds, but somehow I overlooked this one. Oops! Well, my dear readers, here we are, another Kentucky Derby. I look forward to this day all year! 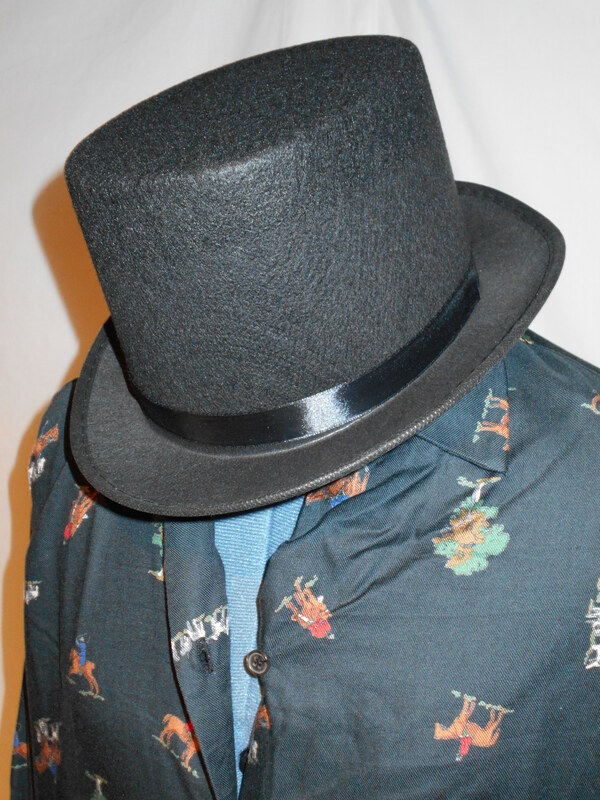 I have found that one of the things I like to refashion are hats! 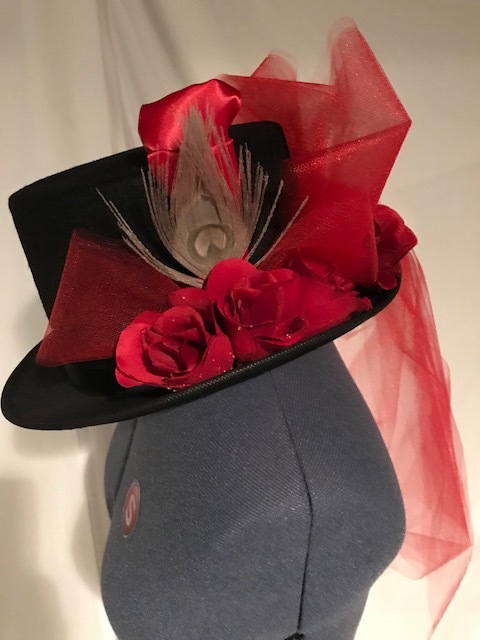 I love making a new hat for the Derby every year! 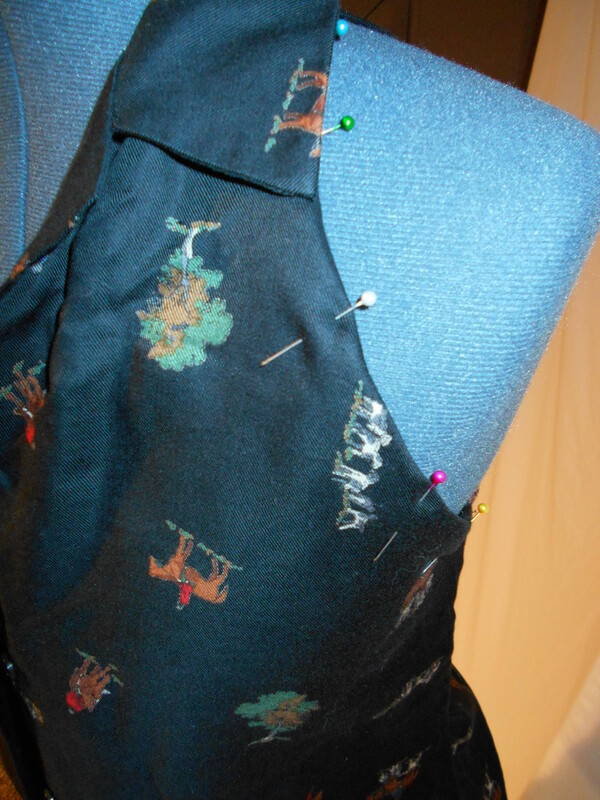 A fox hunt pattern! WOW this was meant to be my new Kentucky Derby Refash! I started by taking off the sleeves. 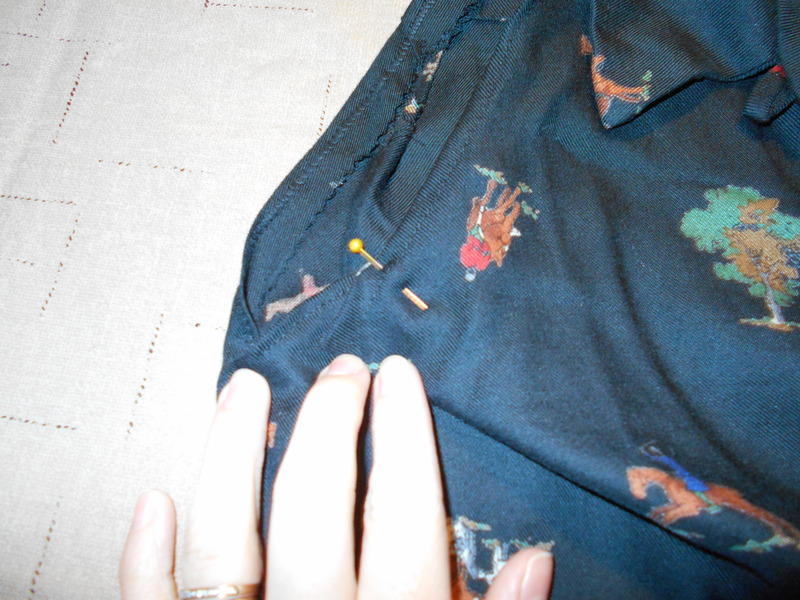 Then I used my seam ripper to removed the shoulder seam. 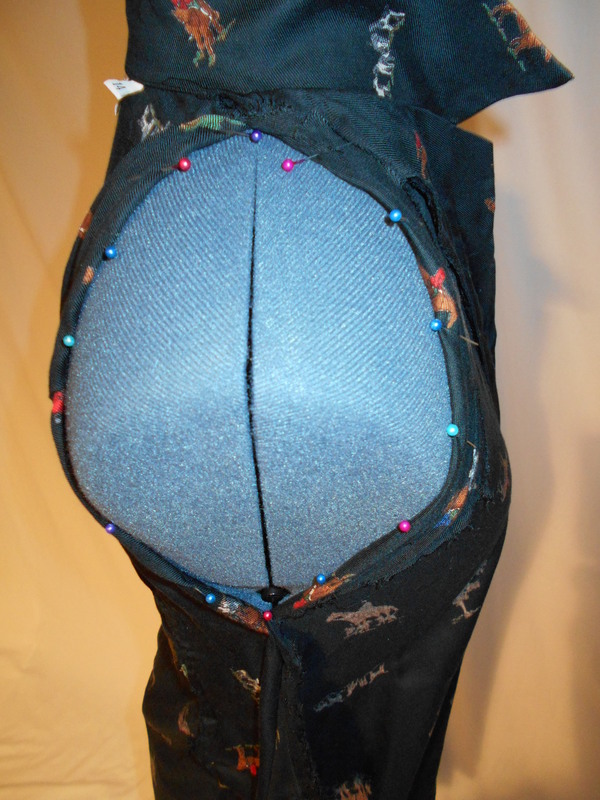 I flapped back the front and back material around the arm holes to make a halter type look. I realized that my shirt needed to be taken in at the sides but I was on a time crunch (like always) so I just cut down the side seams of the shirt, instead of neatly seam ripping them. So, I pinned the new sleeve holes. That worked very well, until I tried my shirt on and there were 2 HUGE gaps in the front. 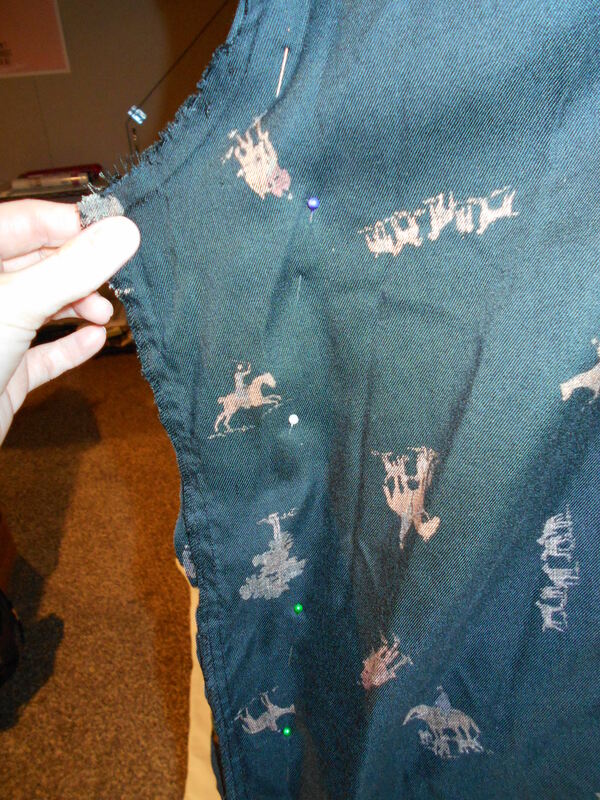 Time for a little more alteration! 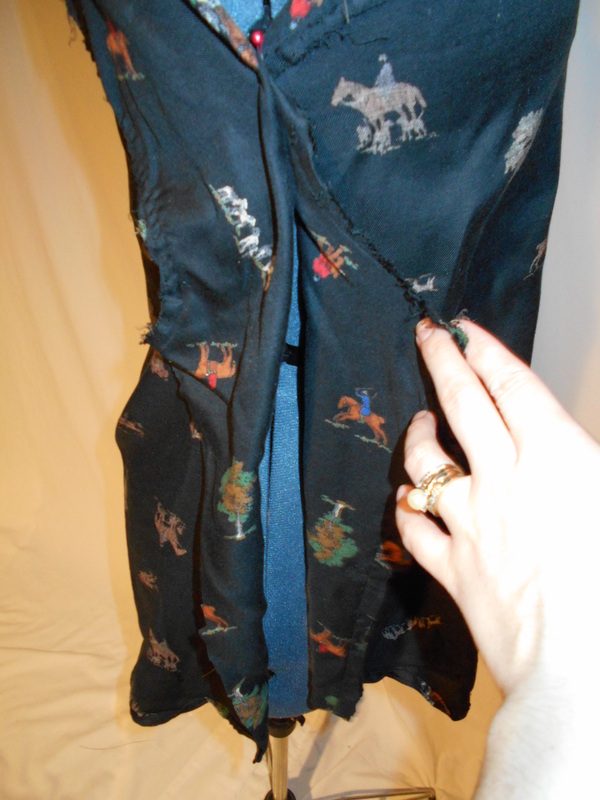 I sewed more of the front arm hole into itself again. Then I made 2 very small, 1 1/2 inch, front dart to make sure the arm hole wouldn't gap. Obviously this wouldn't be a Derby Refash without the HAT! This year I decided to go with base hat. 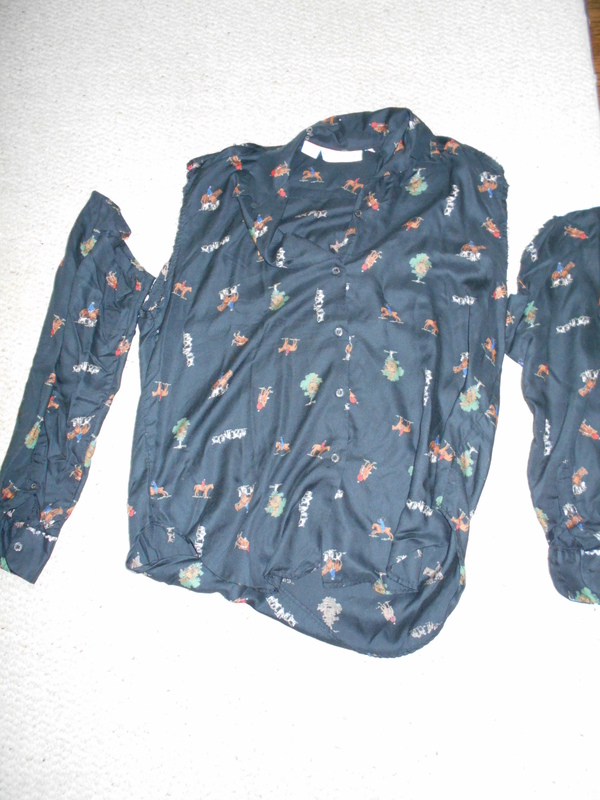 Since my shirt was a Victorian fox hunt theme. 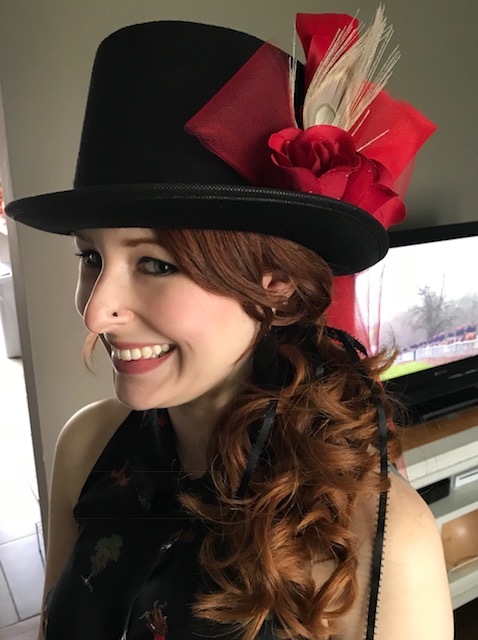 I decided to make my hat in the same fashion, a Victorian ladies riding hat. 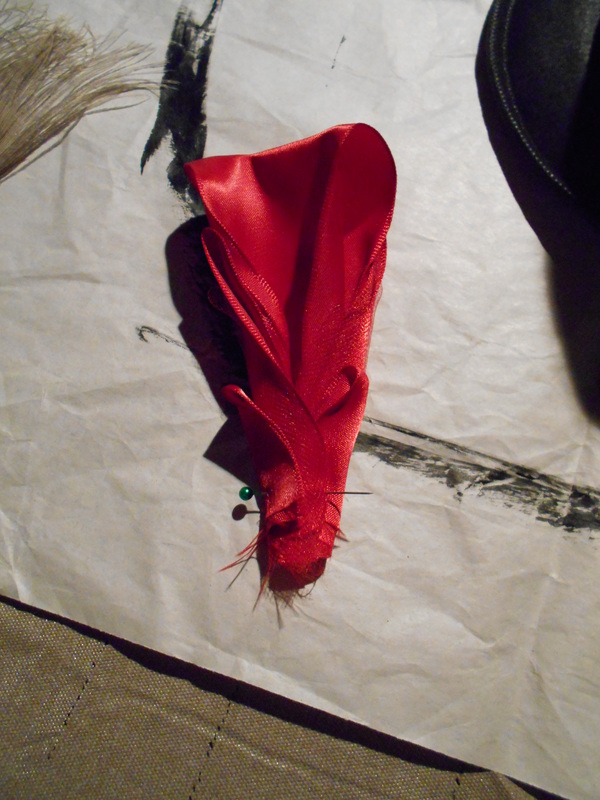 I started by folding some red satin ribbon together. Stitched that up! 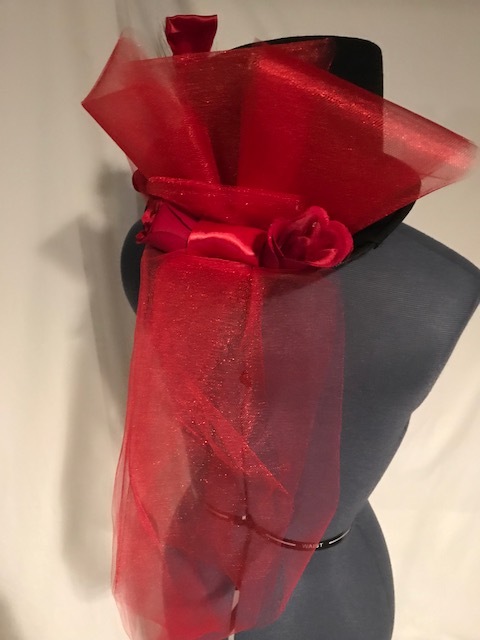 For the back of my hat I used a series of red floral tulle and fanned them out. I hot glued all the tulle (burnt my fingers too) onto my hat. I also finished the back with a roll of satin ribbon and 2 roses. The Kentucky Derby is known as the Race of the Roses. 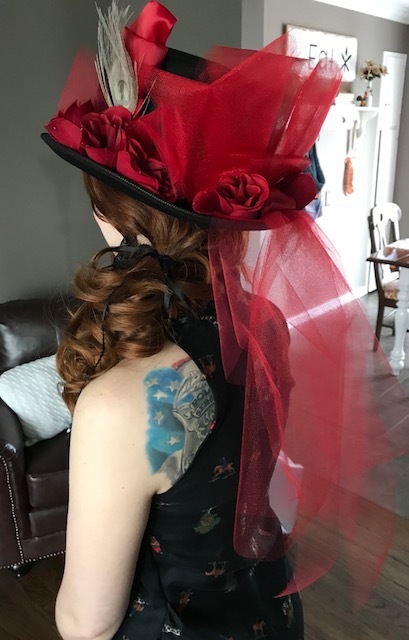 For the side of the hat I used red roses, a smaller width floral tulle and I attached a peacock feather onto the ribbons I sewed together. This was also all hot glued into my hat (more burnt fingers). Completed my refash with a mint julep! Check out my stash of refashions on my blog! 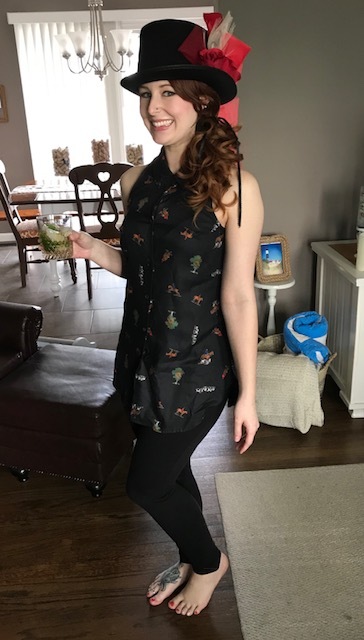 I love the derby hat, and the fox hunt shirt. Perfect for the occasion!